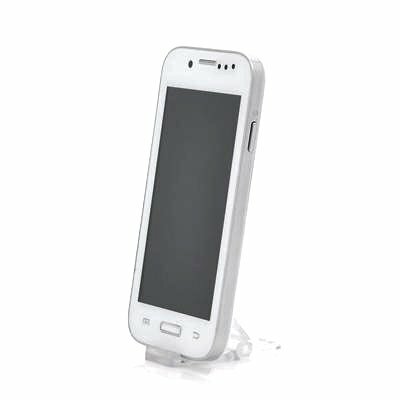 Successfully Added 4 Inch Budget Android Phone "SamSim" - 1GHz CPU, Unlocked Phone, Bluetooth (White) to your Shopping Cart. Budget 4 inch unlocked phone running on Android and equipped with a multi-touch screen display, a 1GHz processor, Bluetooth and more! 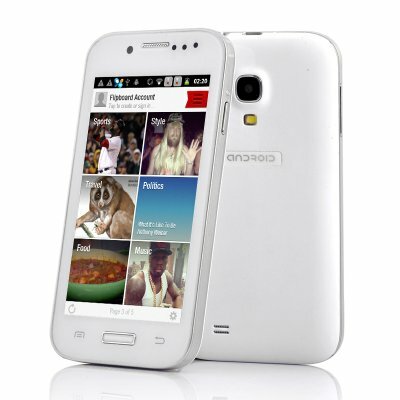 Order this well equipped phone today for a low wholesale price. The 4 Inch “SamSim” phone manages to bring price and functionality together to offer you a high specification, low priced phone. Costing less than 1/5th of the price of most high street branded phones, the “SimSam” offers a whole array of features which can usually only be found on more expensive models. Enjoy your multimedia on the vivid 4 inch touch screen, browse the web, listen to music over Bluetooth, download apps and much more. Coming with Android pre-installed, the “SamSim” phone allows the user to personalize and customize this phone to his likings. Access the online Google Play store where you can download over 700,000 applications and install them on the phone such as Facebook, LinkedIn, Twitter, Candy Crush etc. Ideal for both play and work, the “SamSim” comes with a 1GHz processor which can easily run most apps, games and even open office formats such as PPT, Word and Excel. Boasting Dual SIM cards slots, you’ll be able to keep your work and private life separate and easily manage phone calls, text messages and phonebooks from two different cards on one phone. To finish it all off, the “SimSam” comes with dual cameras, letting you snap pictures and video chat with friends. The “SamSim” is in stock now and can be dispatched to you within one working day and comes with a 12 months warranty. Brought to you by the leader in wholesale electronic gadgets and mobile phones, Chinavasion.